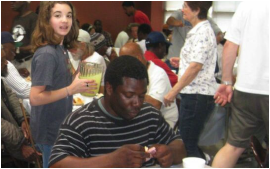 Held on Easter Monday, a full course meal is prepared by the MLF team and served by our volunteers at Caritas in downtown Austin. A great part of the Easter season! We reach out to our community by offering many events throughout the year, each with the goal of assisting the hungry and homeless in Greater Austin. Take a look at what we're involved in! On the first Sunday in May, we host a family-oriented 5K and Kids Challenge, at Cedar Park High School. Join us for a great day of family fun! 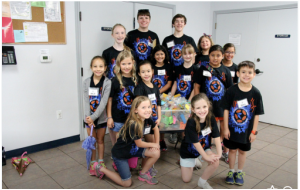 Our camp is designed to teach our children in the 1st-8th grades about poverty in our communities and encourage them to reach out and serve those in need. We lovingly prepare home-cooked meals that include a turkey, stuffing, holiday side dishes, and dessert. 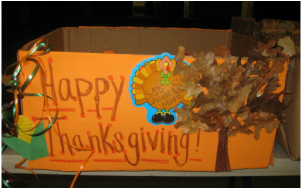 Each meal is delivered by MLF volunteers on Thanksgiving Day. Our pantry provides a few meals for those who struggle to provide for their families. Pantry items are received from many food drives and donations throughout the year.